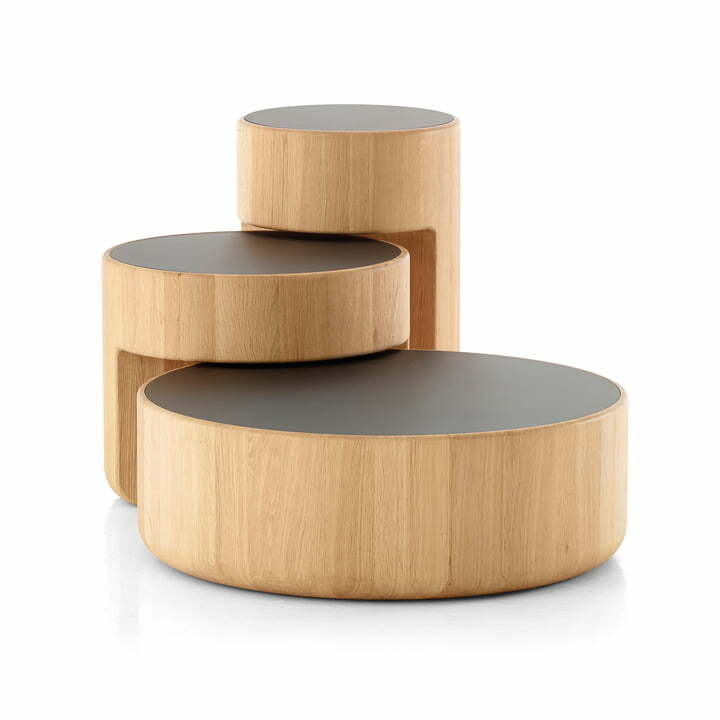 The Levels nesting tables are a design by Lucie Koldova and Dan Yeffet for Peruse and form a modern and at the same time playful table ensemble in the set of 3. Due to two lateral dents, the three tables subtly overlap and intersect each other and arrange multi-tiered table visually completing each other in a stylish way. For this reason, the elements can be repositioned over and over again, always giving them a different effect. 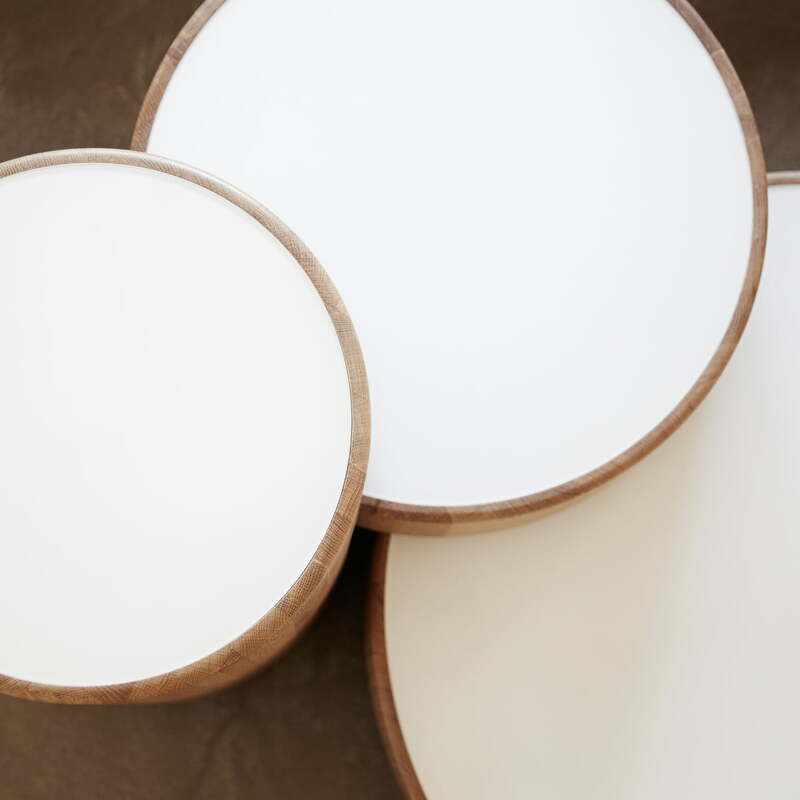 But also individually, the tables with different heights and diameters serve as decorative coffee or side tables that feature soft shapes and an interesting mix of materials. While the corpus is made of solid oak with clear varnish, the table top is made of satin glass in black or white. Robust and yet delicate, modern with craftsman charm - this is how the levels tables presents themselves and with this combination not only enrich living, but also hotels and other interiors. 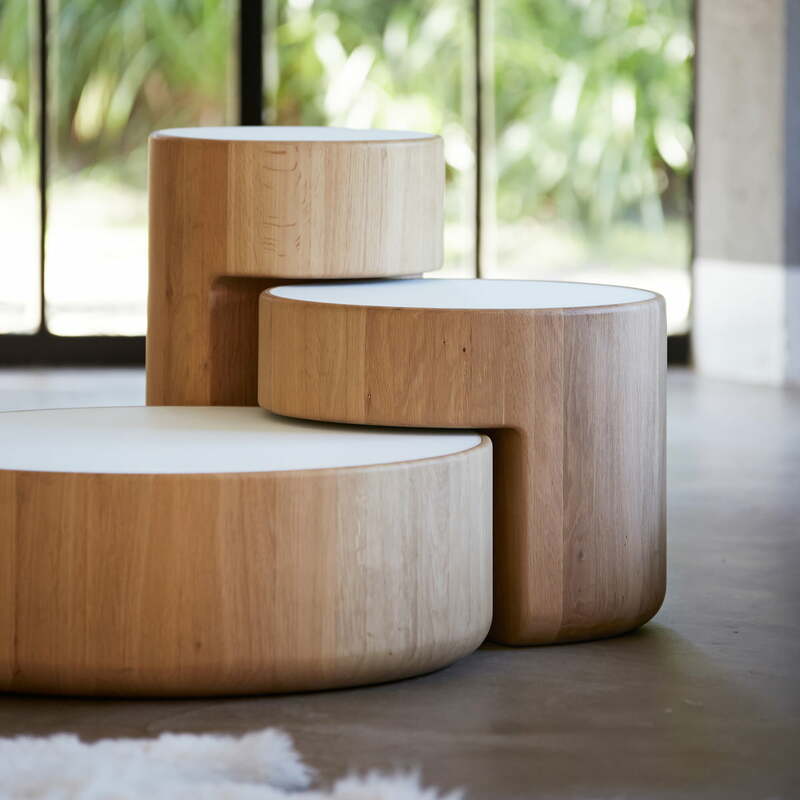 Individual image of the Levels nesting tables by Peruse. The tables discreetly overlap and intersect each other and form a harmonious and stylish ensemble. 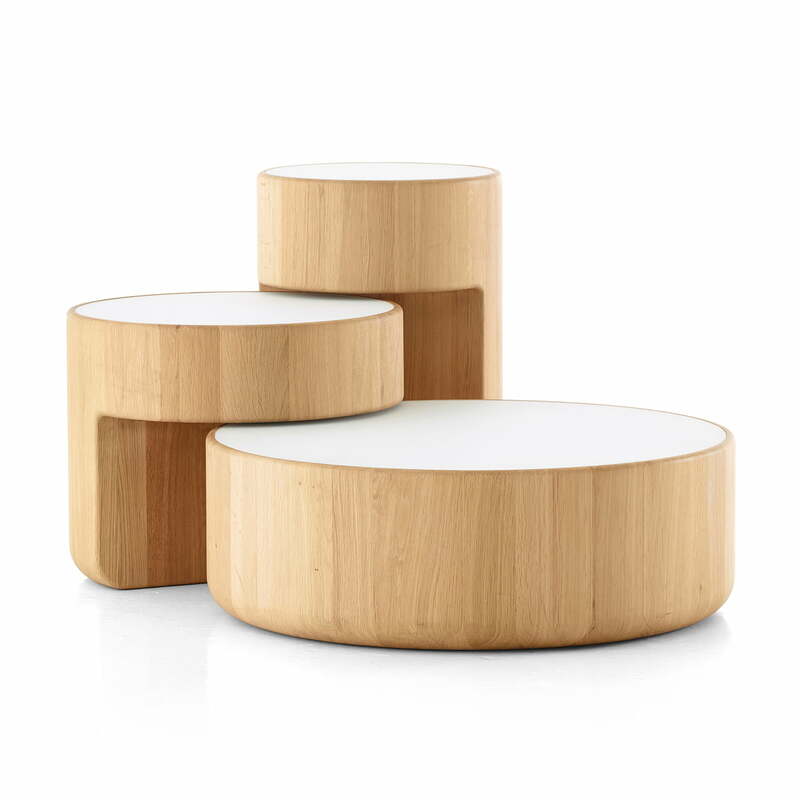 Ambience image of the Levels nesting tables by Peruse. 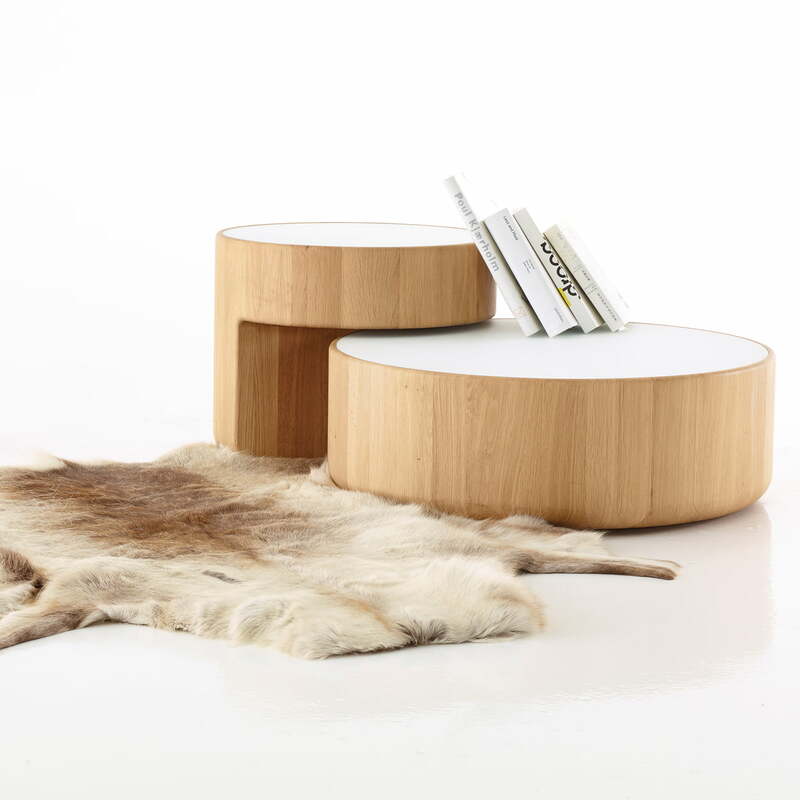 The tables can be arranged individually for or themselves in the set of 2 and enrich any living room. Individual image of the Levels nesting tables. 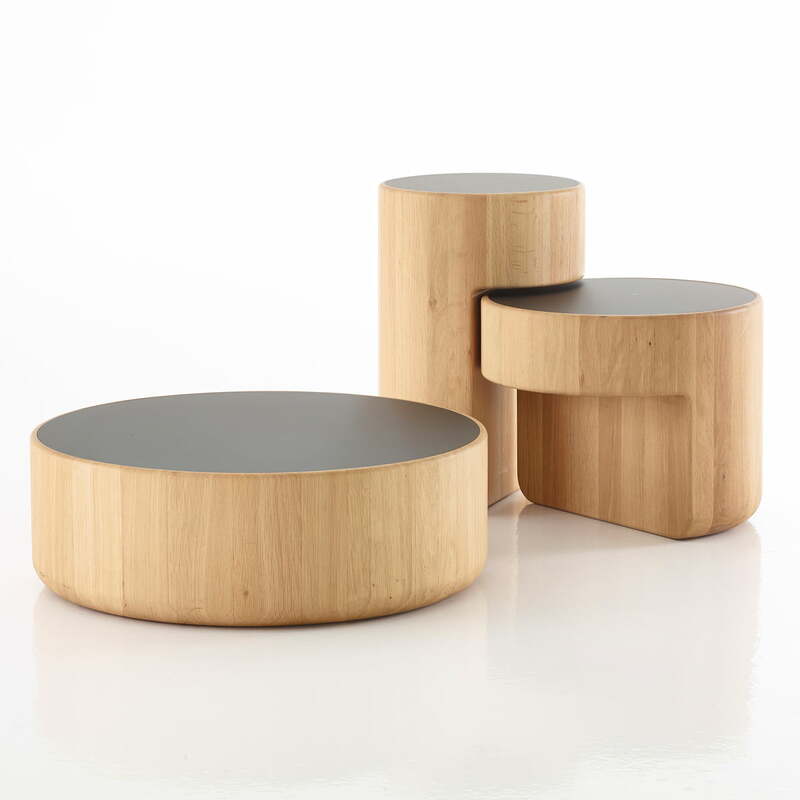 Coming in different heights and diameters, the tables can be used individually or as a set as a coffee or side table. Ambience image of the Levels nesting tables. Freestanding in the room or as a coffee table - the table set is versatile and modern and yet provide for a rustic atmosphere. The Levels Nesting Tables. Depending on the use and personal taste, the tables can be repositioned again and again to build a multi-tiered tabel ensemble. Detail view of the Levels nesting tables. The material mix of solid oak and satin glass gives that certain something to the tables and enrich every living room.